Contemporary spirit and traditional methods... 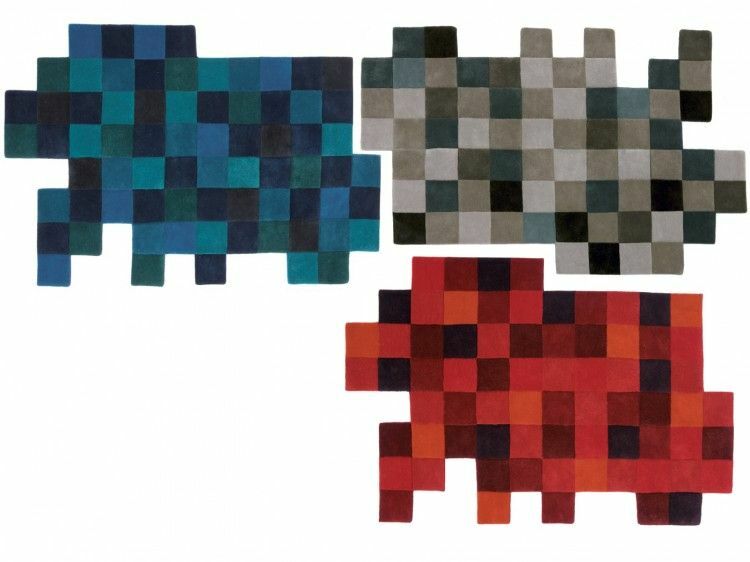 Since it began in 1987, the development of nanimarquina has been based on a very clear idea: the passion for designing rugs. Do-Lo-Rez is an extremely unusual project, a project based around the concept of the pixel, the vital component of the virtual world. 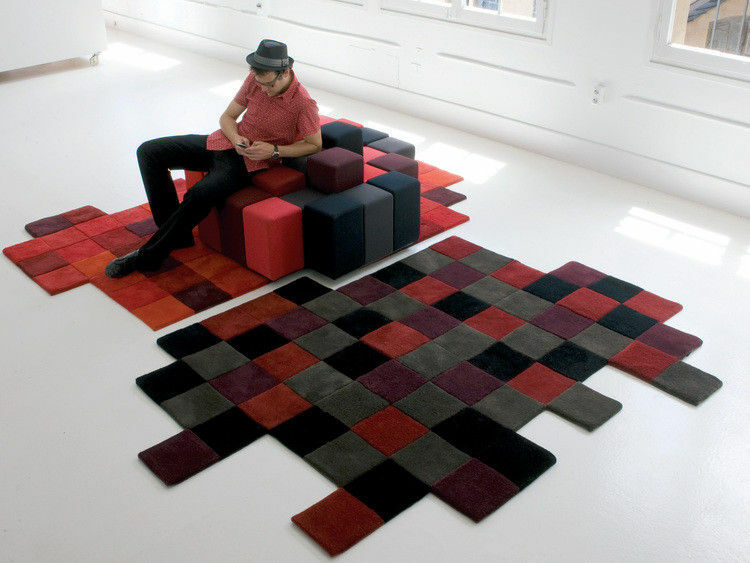 With this, Ron Arad proposes a contemporary look at design. 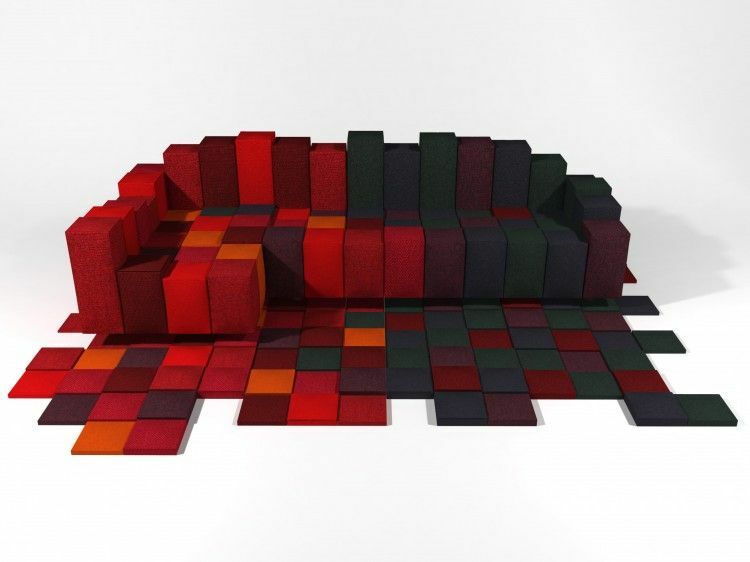 Designed jointly, the sofa (produced by Moroso) and the nanimarquina's rug (100% wool) can be combined to create a suite of unlimit possibilities. 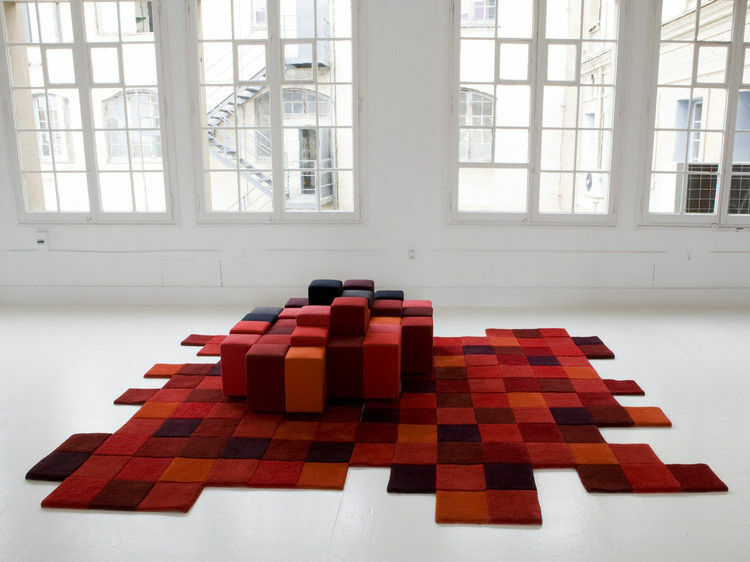 nanimarquina has been designing rugs paying by special attention to the research of rawmaterials and manufacturing processes. 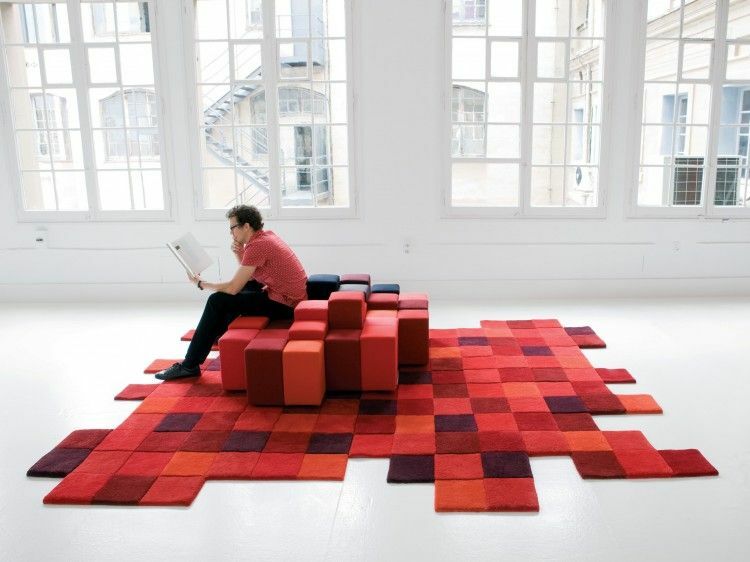 Do-Lo-Rez carpet is hand tufted. It's a manual method carried out with the aid of a pistol-like device. When actuated, it fires and then cuts a portion of the wool, inserting it into a cotton cloth base, on which the pattern has been previously marked. The wool is fixed to the base by means of latex. 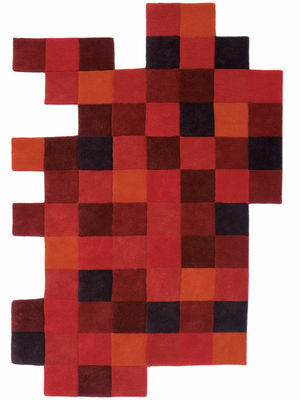 Do-Lo-Rez rug is made up of two different models in three tones.